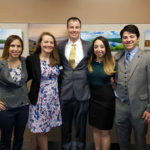 The event was hosted by Branch President Taylor Snow, P.E., M.ASCE, Vice-President Brad Ewart, P.E., M.ASCE, co-Secretaries Kitty Rothwell, P.E., M.ASCE, and Lindsey Renner, P.E., M.ASCE, and Treasurer James Nelson, P.E., M.ASCE. Keep up with Branch news on Facebook. The Kansas City Section recently partnered with the National Society of Black Engineers during NSBE’s national convention in Kansas City to host a screening of Dream Big: Engineering Our World at the Museum at Prairiefire in Overland Park. 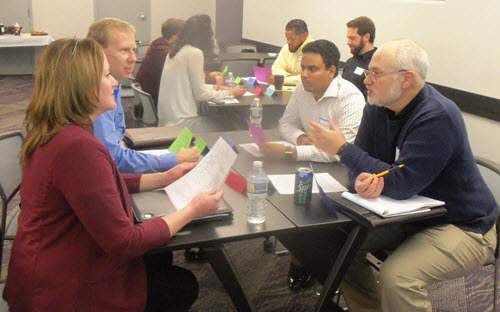 Additionally, volunteers from the Kansas City Younger Member Forum contributed to “Conversations with Civil Engineers,” an annual program that provides career advice and mentoring to college students. Read more about the event. 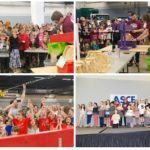 What is your local ASCE group doing in June? 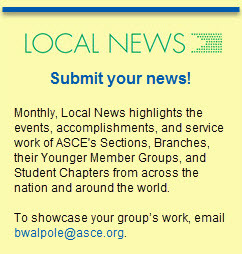 Encourage your leaders to join in ASCE’s first Local Member Engagement Month by sharing activities on ASCE Collaborate. It’s pretty simple. Post a picture or video of the local event and the best will win prizes. Learn more about how your group can participate. 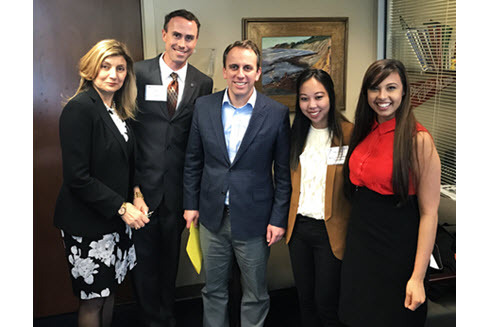 ASCE members traveled to California’s State Capitol in Sacramento to urge investment in the state’s infrastructure as part of the Region 9 Legislative Fly-In during Infrastructure Week last month. 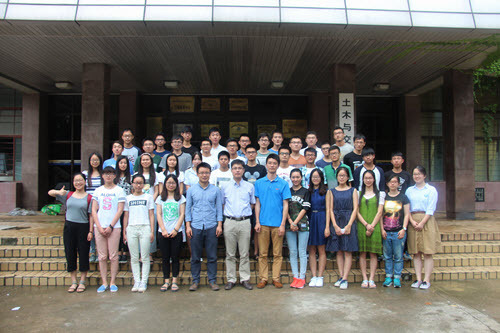 Shiling Pei, Ph.D., P.E., M.ASCE, chair of ASCE’s Structural Engineering Institute Wood Technical Administrative Committee, recently visited the ASCE Student Chapter at Hohai University in Nanjing, China. Representing both ASCE and SEI, Pei met with student leaders and learned about their their work at Hohai. 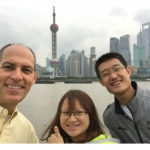 The third annual Conference of Chinese Regional ASCE Student Chapters is scheduled for October. Jonathan Brower, P.E., M.ASCE, recently gave students in his ASCE Civil Engineering Club at Dallas’ Woodrow Wilson High School the experience of attending a Dallas Branch luncheon. Brower, a 2017 ASCE New Face of Civil Engineering, has been active with the civil engineering club for four years. Read more about the group’s remarkable activities this school year. 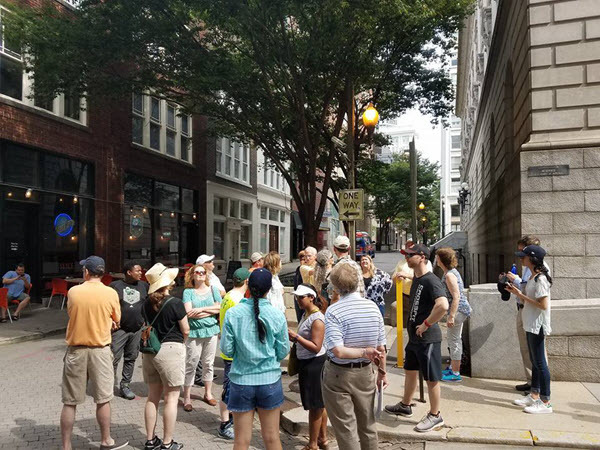 The Georgia Section recently conducted a walking tour of downtown Atlanta from a civil engineer’s perspective, led by Tom Leslie, P.E. Follow the Section on Facebook. Ariful Hasnat presented to the ACECC as part of the Future Leader Forum. 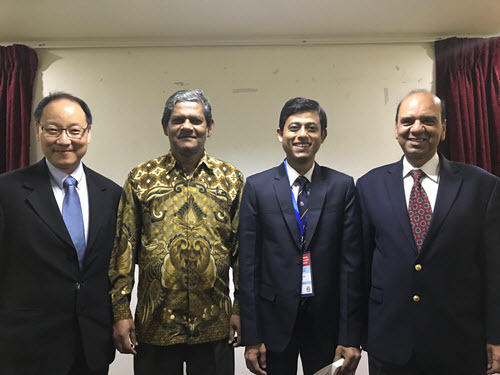 Pictured, from left, Ed Wang, president Taiwan Group, Didarul Alam, president Bangladesh Section, Hasnat, Udai Singh, ASCE representative to ACECC. 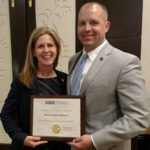 ASCE members recently took part in the Asian Civil Engineering Coordinating Council’s 32nd Executive Committee Meeting in Kathmandu, Nepal – among them one of the 2016 New Faces of Civil Engineering. Ariful Hasnat, A.M.ASCE, represented ASCE in the meeting’s Future Leader Forum and made a presentation to the ACECC. Hasnat, a senior lecturer in civil engineering at the University of Asia Pacific in Dhaka, Bangladesh, was an ASCE New Face in 2016. 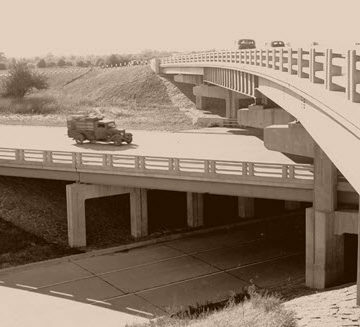 In addition to ASCE, participating societies included the Chinese Institute of Civil and Hydraulic Engineering, Engineers Australia, Indonesian Society of Civil and Structural Engineers, Institution of Civil Engineers India, Institution of Engineers Pakistan, Bangladesh Institution of Engineers, Japan Society of Civil Engineers, Korean Society of Civil Engineers, Mongolian Association of Civil Engineers, Nepal Engineers’ Association, Philippine Institute of Civil Engineers, and Vietnam Federation of Civil Engineering Associations. The Nepal Engineers Association was this year’s host. Learn more about the ACECC and its 2017 activities. 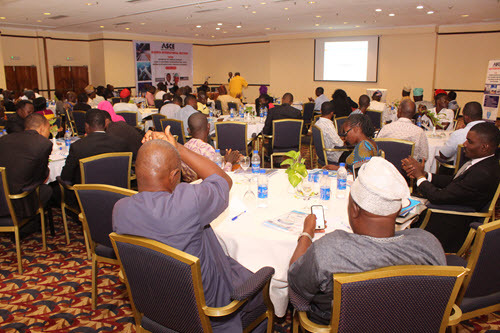 ASCE members, government officials, members of the Nigerian Institution of Civil Engineers, and students from various universities took part in the gathering, which concluded with a communique that the Section will deliver to Nigerian legislators and other federal officials for consideration. Recognizing a need for engineers to develop non-technical skills necessary for advancement, the Akron-Canton Section recently put on a series of workshops to help members develop such skills. Topics included project management, supervisory skills, and public speaking. The workshops were structured to give participants practice using and building on these skills in real-life scenarios. The Boston Society of Civil Engineers Section recently participated in the 2017 Bertram Berger Seminar in downtown Boston. The program included panel discussions about multimodal transportation infrastructure, dinner, and awards. Keep up with the Boston Society. 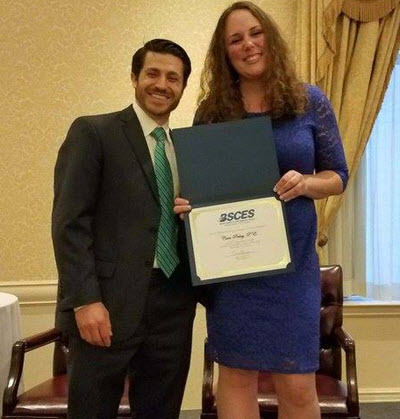 Mike Franklin, teacher and advisor for the ASCE Civil Engineering Club at Chester Arthur Elementary in Philadelphia, recently earned a Christian R. and Mary F. Lindback Foundation prize for excellence in teaching. Learn more about Franklin’s passion for teaching.